My dreams are coming back to me. What I mean by that is, I'm having more and more that I remember and that tell me or help me figure things out. 2009 and 2010 were pretty much dream-free years. I'm so glad that 2011 seems to be the year of the dream come-back. I had a dream last night. My BF from college was starting a new creative business (which is ironic because she's starting a new food business in her real life). It was something I really wanted to do and I was sort of surprised that she was starting this new venture (in my dream, not real life). She had founded the business with 2 other people and they were looking for 4 people to head 4 different teams and then I think one or two people to be on each team. i had to interview with my friend a a few other people. Here's where the dream gets dreamy-like with the weird details. There was a creative convention being held and that's where I was going to interview. The convention was being held at the Dekalb County Farmer's Market. I went in, and was walking around and had a chance to talk to a creative professional that I admire a lot. I talked to this person and couldn't believe that I did. I learned that she was somehow connected to the job opportunity my friend told me about and I got extra nervous. I went over to my friend (who's booth was set up in the meat section of the Farmer's Market - I'm sure that means something, but I haven't figured it out yet --- I was feeling raw, maybe? Dunno.) and talked to her about the job. I wss sort of annoyed that I had to interview, but I did anyway. Afterwards, I found Heather and Emily and my friend Charron (my core peeps right now). We were all sitting on a couch - I was in the middle and we were watching tv and we were very comfy. Behind the TV was some stairs, and the creative person that I admire came down the stairs and saw us all lounging there, very comfy, settled, happy looking. (She was also wearing a dress made out of the same fabric as a scarf Felicia received for Christmas. Weird.) I was sort of uncomfortable with her seeing me like that because I didn't want her to think that I was so comfy with my life that I couldn't change. The next day, I saw my friend. She offered me the job, but there were catches. First, remember those 4 groups? Well 3 were alike (and I wanted one of these) and the 4th was dealing with something more challenging. When she offered the job for me, the job was to oversee the suicide division (which is not what it was when I first heard about it)....the job was essentially going to be like an art therapist (but not licensed) and working with people who had attempted (but failed, obviously) suicide. My first response to her was that this was not the gig I wanted, but I would take it if it meant doing something more creative. Then she talked about money. It was the first time in the dream that we had discussed it. She offered a salary, that I totally expected her to offer in my dream. I explained to her that the salary part was going to be the tricky part because I made 2x (after I woke up, I realized that it was really 3x) more than what she was offering. I asked her if we could make a deal. I told her that I would keep my job now but work this in so that I could do both. I told her that I was willing to work on the weekend and figure it out. Then I went on to bargain some sort of deal about when I proved successful, I wanted something (don't remember the details) so that I could a)make more and b)quit my FT gig. She protested a bit and we went back and forth on what each other wanted/needed. And then, my beautiful, amazing daughter came in and woke me up. So - I'm stuck with this dream and I don't know how it turned out. But maybe my unconscious heard my darling girl coming down the hall and figured that the next part of the dream was supposed to play out in real life. Feels like I'm ready and open for new things. The money part is a very real part, but I'm surprised and encouraged to see that I found a creative way around it, and I didn't just let go of my basic needs in order to pursue my dreams. This is something I've struggled with a lot in real life - how do I get from here to there without killing everything I've worked hard for up until now? The suicide part is also interesting. In real life if I had taken the job as offered, not only would I have been committing financial suicide, but I probably would have also killed my relationship. Not good. I would be killing the life that I know. In my dream I wondered, "why suicide?" to myself, but looking at it awake - I see it. It wasn't about other's choices - it was about mine. I also like the stairs scene. I am comfortable where I am right now. It's taken a bit of time and a lot of energy to get back here, but I don't want people (me) to think that I'm settled here. I can venture out - take baby steps towards something new. New York was a shell shock of a move to us - to my core, and I don't want to make that same mistake again. For my family, last year was about returning to normal, but through that process I was realizing that I wanted normal plus, or I wanted a different normal. I rocked the boat so freakin' much with moving, and I'm terrified of rocking it that much again. I think that's a lot of the friction I feel when I think about starting something, but this dream feels like clarity. I can do something different, and I can venture out and it doesn't need to be on someone else's terms - it can be on mine. I can negotiate until I know it's right for me. I can take baby steps. 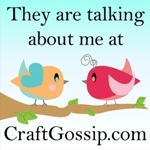 have thought about blogging, but haven't actually blogged. did you notice? thoughts like - do other artists/creative-type people get overwhelmed by looking at other people's work? not inspired, i mean - that happens all of the time, but overwhelmed. i've been overwhelmed lately. i've been sitting with this trying to figure out why or what is overwhelming me, and i've come to the following conclusion. the people that i've become overwhelmed by are all people i admire. they are all people that are very established in their creative life or they are people that seem to transition from one big life event to the next. i don't feel particularly coordinated, especially when it comes to big life-changing events and i'm not what i would call established. i'm wandering. i'm figuring things out. i probably think too much sometimes. i want to be somewhere other than where i am today. i don't know where that is, exactly. i know what i don't want, which is always a step towards progression, but i don't know all of the things i do want. so in trying to muddle my way through this, i've been overwhelmed by those who seemed to have just figured it out. i know that's not the case. i think very few people just sort of wake up and KNOW what it is they should be doing. i'm reading keith richard's autobiography right now, which is a great read and he seems to be a big exception to what i just wrote, so add keith richards to my list of people who overwhelm me. i've thought about taking a break from the blogs that inspire/overwhelm me. my thinking with this notion is that it will give me time to just sit with myself and my own ideas, but the truth is, i'd miss those blogs and the routine of visiting each day. i also do draw a lot of inspiration from these individuals, and it comes out in the weirdest things sometimes. i don't want to lose that. i also saw this video today, which i fell in love with. it's somehow tied to everything above, but i can't articulate it. enjoy. I mentioned I was sick, right? Geez - I'm so glad that's over. Well, I guess technically it's not over but after three months of hacking my brains out and trying all sorts of different medications that didn't work, I stopped taking the drugs and listened to my body. And guess what? I figured out what was going on. I told my doctor and she agreed with me. YAY! Now, I take minimal medicine and control what's going on via my food choices and am back to myself. Shew! Anyhow - between all of the coughing, I did manage to squeak out some art stuff in December. I have hopes of posting more, but if I don't get to any of the other projects, I want to at least acknowledge this one because it was a lot of fun, and I want to give thanks to the challenge creator and folks who swapped with me. 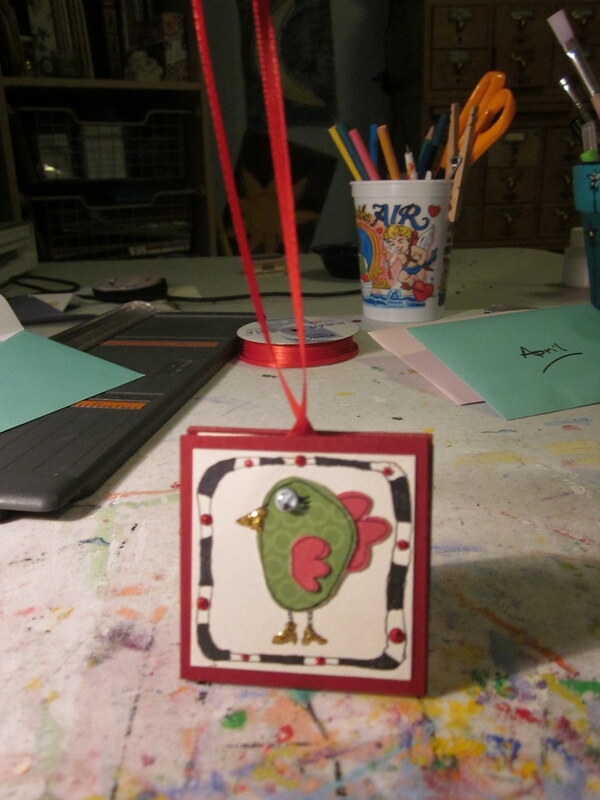 Louise Gale came up with a fantastic idea of doing an ornament swap. I signed up and immediately came up with an idea I was sure would not only be fun, but super easy. Wow - was I wrong. The back. 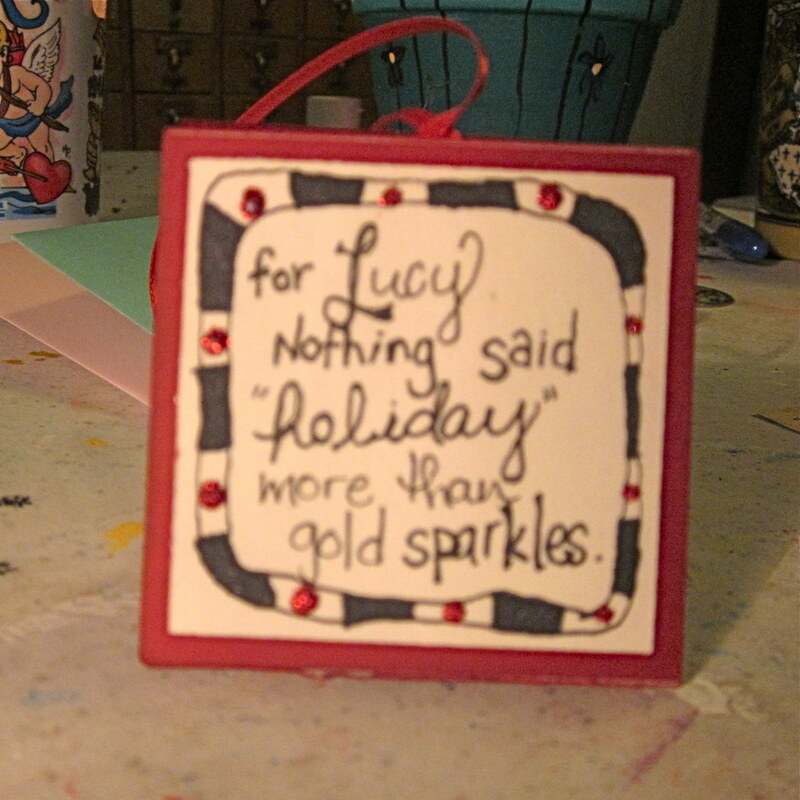 It reads, "For Lucy, nothing said "holiday" more than gold sparkles." The inside. 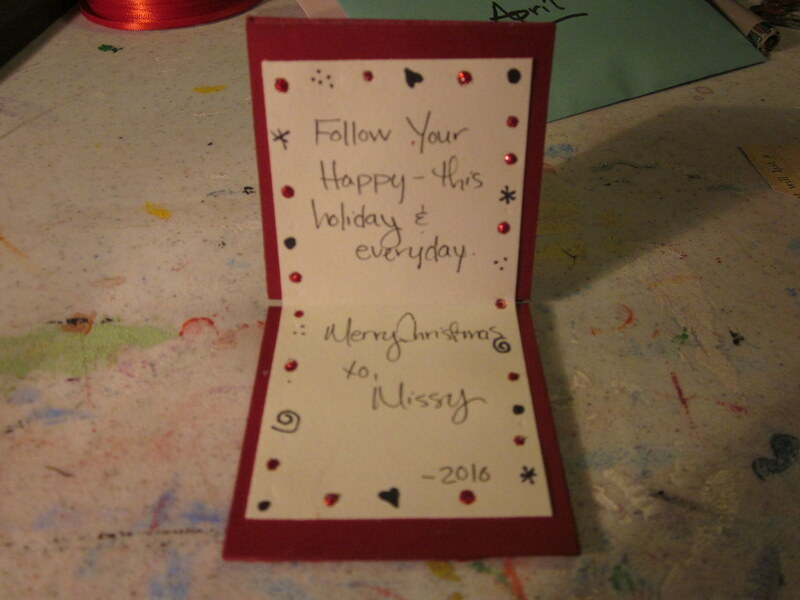 It reads, "Follow your happy, this holiday and everyday." 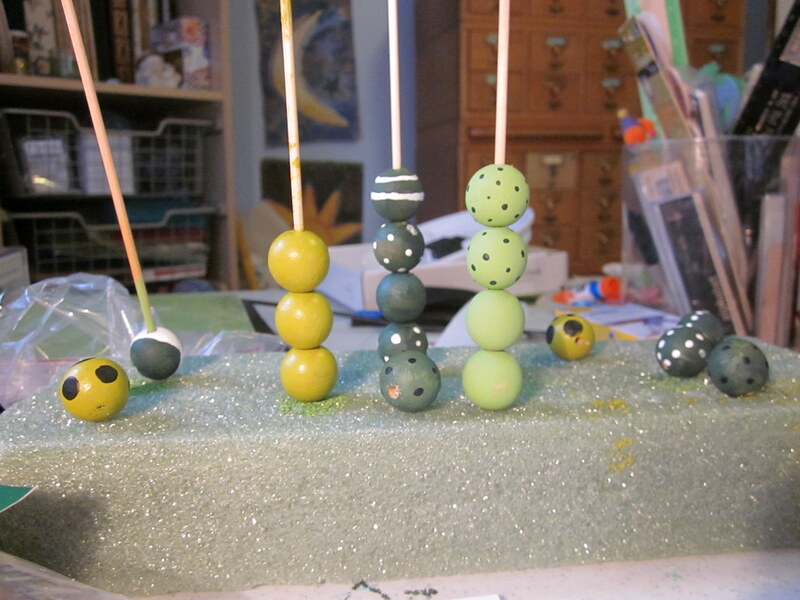 I was pretty pleased with the final result and I hope the recipients enjoyed them. In return, I received three adorable oranments. 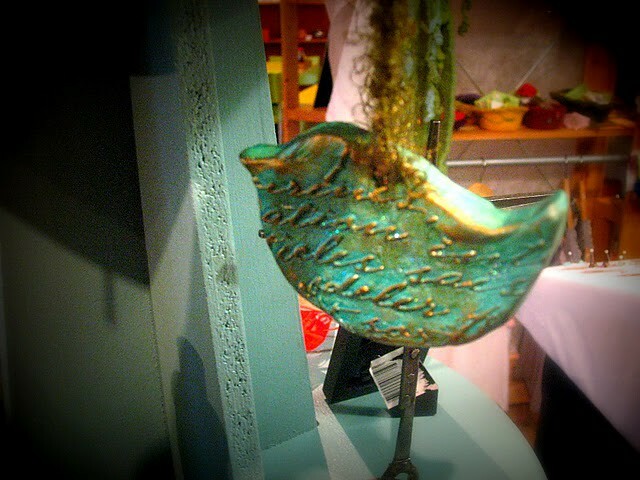 A cute little bird (green, nonetheless) from Kimberly Turner of soggydogstudios. An adorable house (I received the one on the far left) made by April Cole. I received one more, but I can't find the card that came with the ornament or the blog, that I know I've seen. 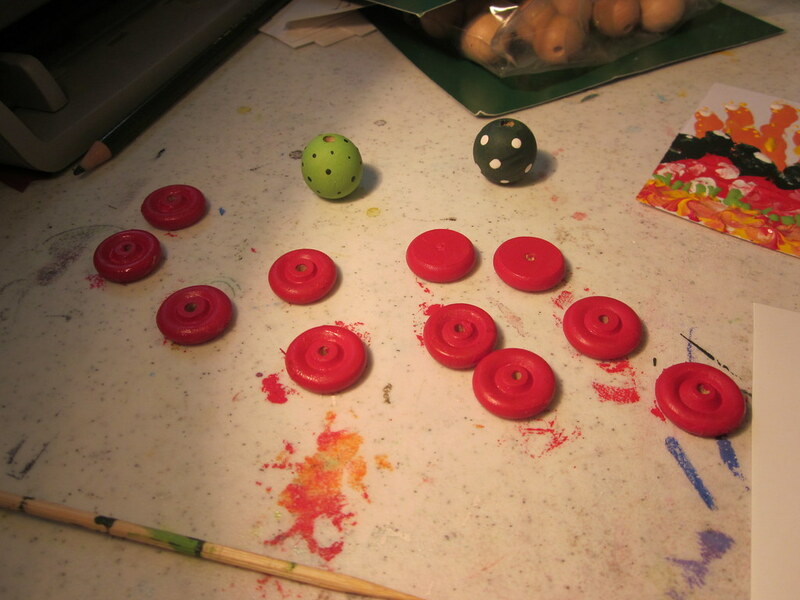 It was a super cute candy cane stripped circle ornament. I loved the simplicity of it and it's something I might try to mimic for gifts next year. I loved the process (despite my own set backs) and I loved receiving goodies in the mail! Looking forward to more swaps for sure! Hello 2011 and my word for the year. I feel like my whole soul has exhaled. My shoulders feel lighter than they have in such a long time. I feel like I can relax again. It's over. 2010 is over. Don't get me wrong - there were a lot of good things that came out of 2010, but it was a hard year. The beginning of the year brought a huge shift in our family as our home went from housing the three of us + the animals to housing the three of us plus the animals + my brother and Felicia. It also brought a lot of stress and adjusting and finding ourselves just when we thought we were digging out from the aftermath of moving to/from NYC. The year brought a job change for Heather. It brought great birthday celebrations for the girls. It brought Mardi Gras, Halloween and other fun celebrations. But 2010 also held a lot of sickness. It seemed like someone in our house was sick almost every week of the year. Looking back, I think that a lot of it had to do with the stress we were all feeling. One of the greatest accomplishments in the year was that Heather and I decided to work on dealing with the stress together. While there were still sick moments, the end of the year definitely held more laughter and tender moments than the beginning. Our house has settled into a new routine, and while it's not perfect - we are more accepting of each other's quirks, talking to each other more and trying to find the positive. 2011 feels fresh and new and perhaps more than I have ever felt before - I am so thankful for new beginnings and the chance to have a clean slate. I'm excited to carry and build on the positive things that we started/re-newed in 2010. I'm ready for this year and have my arms open wide to the possibilities that it contains. Heather's status on Facebook this morning captures what I think we are both feeling so perfectly. She said, "Ok 2011, let's do this." This year, I am choosing to enter the new year with a focus on one word. There are many in the blog sphere that participate in one word challenge/commitment (what's the right word, here?). Last year I sort of had an unofficial word - creative. I think it helped me remember what I wanted to get back to, but it also helped me in lots of small ways. I sometimes called that word up when I was being a mom to a tired/cranky/stubborn child and I found a creative way to deal with the situation. I used it in times of stress and would daydream about some silly notion that gave me a moment's reprieve. I used it in planning meals for my family - since I have done most of the shopping in the past few months, I've tried hard to find new ideas that balance things we love with food that is good for us. Creative was a good word and one that I definitely intend to keep close by. 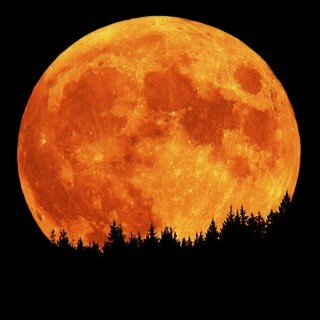 For 2011, my word is mindful. Dictionary.com defines it as an adjective that means: attentive, aware, or careful (usually fol. by of ): mindful of one's responsibilities. Synonyms are heedful, thoughtful, regardful. Merriam-Webster gives the definition as "inclined to be aware." I like that. 1. Listening to myself, being aware of what I need. I am such a happier person when I stop for just a second and not only listen to myself, but take whatever action it is that I need at that time. I want to be more mindful of my inner voice this year. 2. I like that dictionary.com had a reference to responsibilities because it's definitely one of the reasons I chose this word. I want to be more mindful of my actions relating to my health, my professional life, my finances and even some of my smaller (but very important) responsibilities like cleaning the cat box. I want to remember the consequences of my actions and remember that I have a part and a role in what happens. 3. Being present. One of the things I noticed in 2010 is that I checked out a fair amount a lot. Now - a little checking out is ok. In the past, going to the movies or taking a nap or something similar would be my normal mode of checking out. This year was a little different, unfortunately. Zynga - those wonderfully talented social gaming creators, sucked me in with 2 of their games. I spent more time than I'd really care to admit farming and building a city. Man - do I feel so silly writing this, but it's true. No more. I've deleted the apps, I've deleted my gaming friends and I've decided that I want to be more present. I made mini attempts at this over the past few months but I'd go back, but now, I feel ready to commit to this and be present, mindful of what's going on with me at the time. Letting go of the games also frees a lot of time as I'm not turning on the computer every 20 minutes. It also frees me to read and participate in communities where I can build connections and friendships vs. interacting with an avatar and a cow. Sad. So, yes - mindful of my world - both real and virtual is a good thing! I know there's more to come with that word. I know that 2011 is going to stretch me and teach me things that I didn't know I need to learn. I'm excited. I'm ready.